Brief Description Experience the area's history from the river's glacial origin, through Native American settlement, French fur trade, British and American expansion, to the present day. Description Its location may be new, but the River Of History Museum continues to do what it does best: explain and interpret the region's story from its earliest recorded history. A combination of authenic artifacts, illustrative vignettes, and lively narration bring history to life. Be transported through time via the museum's 11 interactive galleries. Experience early Native American life along the St. Mary's River and the cultures that followed. Great for all ages, plan to spend an hour at this museum and be sure to stop at the gift shop. 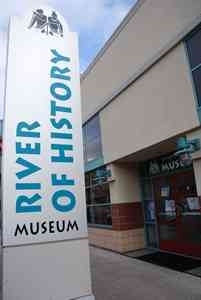 Add River of History Museum to your free online travel itinerary.